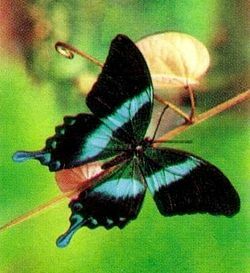 Papilio blumei, the peacock or green swallowtail, is a butterfly of the family Papilionidae. It is found only on the Indonesian island of Sulawesi, and is protected in Bantimurung – Bulusaraung National Park. 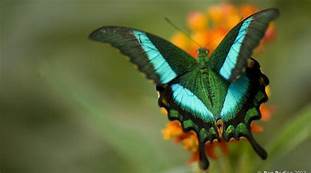 The colors on the wings of some of these butterflies are metallic and are eye catching especially when viewed from a particular angle.